On April 30, the International and Multicultural Graduation celebrated the accomplishments of 38 USM graduating international and multicultural students. Three students spoke, Gabrielle Lodge, Aya Alkhdair, and Isaac McMahan, as well as one alumna, Rachel Morales. 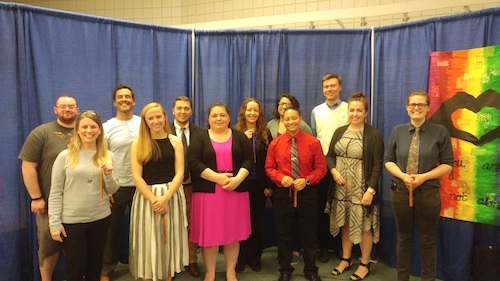 The 2018 Lavender Graduation, on May 1, highlighted the accomplishments of our lesbian, gay, bisexual, trans, queer, and allied students. The graduates were presented with a rainbow tassel they were invited to wear at USM Commencement as a memento of all that they have accomplished and contributed to the LGBTQA communities at USM. This year 15 graduates were celebrated, with alumni Justin Gifford speaking to the group, as well as student speaker, Emily Bays. 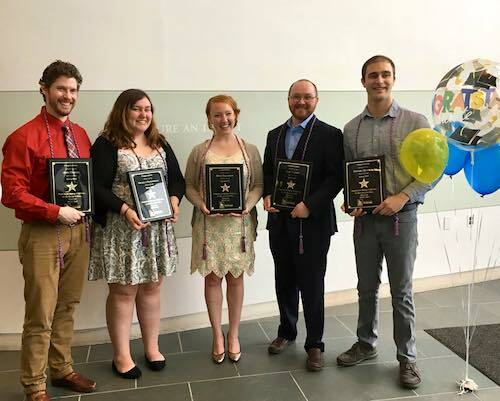 On May 3, celebrations continued for USM military-affiliated students at the Veterans Graduation Recognition Ceremony which included a medal ceremony as well as a keynote speech by U.S. Sen. Angus King. See pictures and read the full story by Public Affairs. The ROCC Recovery Graduation, May 4, celebrated the students graduates of the 2017/2018 academic year who have been champions and allies of those in recovery. Held in Wishcamper, graduates and guests were welcomed into the room with balloons, graduation-themed music, and a slideshow of photos which played in the background. The slideshow gave a glimpse into student involvement at the ROCC, emphasizing the joy and sense of community found within. “It was truly heartwarming to see fellow students, staff, faculty, family and ROCC peers, all joining together to support this year’s ROCC Graduates,” said Anna Gardner, USM Collegiate Recovery Program Coordinator, who later that evening was awarded the “Student Focused Staff Award” at the Student Leadership Awards Gala. The Student Leadership Awards Gala, hosted by the Leadership Development Board, was a spirited celebration of the accomplishments within the USM community during the past academic year. 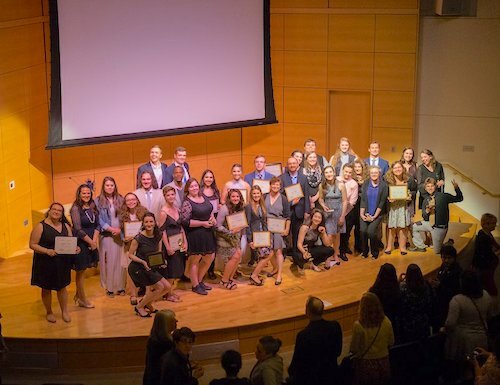 Over 100 students, faculty, and staff were nominated for a variety of awards and 200 people were in attendance at the event. Awards were given by Residential Life, TRiO Support Services, and the Student Government Association. Additionally, student leaders at the helm of governing organizations and the 2018 Student Commencement Speaker, Lucy Shulman, were recognized. Congratulations to the 2018 Student Leadership Awards recipients! See photos, featured grads, and more at the USM Commencement page.